You are here: Home 2010 March Got cancer? take anti-oxidants. Antioxidant supplements for prevention of gastrointestinal cancers: a systematic review and meta-analysis. These authors reviewed all the randomized trials comparing anti oxidant supplements with placebo for prevention of gastrointestinal cancers. They found little evidence that the anti oxidants they studied prevent these cancers. But they carefully hedged their conclusions with the statement that these anti oxidants alone or in combination “do not seem to have much effect”. They are correct to have been so careful since the claims made that these anti oxidants did have some preventive effect were based upon doses of some of these anti oxidants that were substantially larger than those used in these studies . The studies used beta carotene 15 to 50 mg daily, vitamin A 1.5 to 15 mg. According to these authors only beta carotene increased morbidity. But this was based on only two large studies involving men who were heavy smokers and some had been exposed to asbestos whereas a third study on physicians who were non smokers did not shows any toxic effect from the beta carotene. Most of the studies with beta carotene found a relationship. The Finnish Antioxidant and Lung Cancer study appeared to show an increase in the incidence of lung cancer. But this is not what the dozens of authors of this study concluded. They found that beta carotene did not decrease the incidence of lung cancer. On the contrary there was a statistically insignificant increase in the beta carotene group. It is therefore very important to know exactly the method used in this study. They used a large population of male smokers ages 50 to 69. One group was given the synthetic dl-alpha tocopherol. Another group was given 20 mg of beta carotene, a third group was on placebo, and the fourth group received both antioxidants. All the subjects smoked 5 or more cigarettes daily for over 35 years. They were followed for 5 to 8 years. But the beta carotene group smoked one year more than the control group. How significant is one year more of heavy smoking in increasing the number of advanced lung cancers. The authors do not discuss this. At the end of the study men in the placebo group with the highest blood levels of these two antioxidants had the lowest incidence of lung cancer. In the dl-alpha tocopherol group there was a insignificant 2% reduction in incidence of lung cancer (P = 0.8). In the beta carotene group there was an 18% increase in incidence. Out of 14,560 men on beta carotene, 474 developed cancer, while out of 14,573 men not on beta carotene 402 did. The incidence increased from 2.76% for the control group to 3.26% for the treated group. I suggest that this minor difference is surely not of clinical significance, even though it is statistically significant. In this statistically sophisticated study dividing 3.26 by 2.76, yields the much larger number of 18 percent which appears enormous and will be the only figure the unwary reader will remember and probably the only figure which will be used by the popular press. With large sample sizes such as these, a minor variation becomes fully blown up to a major finding. There must have been something very odd about that Finnish group of men. For one thing, the authors reported that 34% of the men on beta carotene developed yellow skin. This is totally foreign to my experience. I have started at least 500 subjects on this amount of beta carotene and more, and have never seen any yellowing of the skin with this dose but have seen some with higher doses. Does this mean that these heavy smokers had so compromised their livers that they could not deal even with normal doses of beta carotene? The authors do point out the many possible factors which might have given them these results, and in an editorial in the same issue the commentators also refer to them. These authors write ” Finally, study findings regarded as showing supplementation to be beneficial or harmful may occur by chance”. I consider that this study simply proved nothing, except that if you give tiny doses of Vitamin E nothing will happen, and if you give heavy chronic smokers 20 mg of beta carotene their incidence of lung cancer will not change. Challem re-analyzed the Finnish study and concluded that alcohol, synthetic beta carotene and hasty conclusions may have created the study fiasco. Cancer is probably present and undetectable in patients for a long time, perhaps many years, before it is finally discovered. The truly preventive study should therefore start long before any tumors have started, which could mean many years. With this group of heavy smokers it is certain that a large fraction already had the cancer. This was therefore a mixed study consisting of (1) treatment for those already with cancer, (2) prevention for those who did not have any. Unfortunately, it will never be possible to say how much each group contributed. I would suggest that future studies start with a much younger population in whom there is much less chance of already having cancer. The protective effect of dietary vitamin A against cancer was reported in 1975. Since then a large number of studies have consistently shown that higher levels of vitamin A in food are associated with decreased incidence of cancer. In vitro and animal studies have also found that vitamin is protective against cancer. Vitamin A supplements have been used to potentiate the action of chemotherapy. There has been no outcry against using this antioxidant in combination with chemotherapy. In Japan investigators used vitamin A, 5FU and cobalt-60 radiation to hundreds of patients with head and neck tumors. The combination was very effective. Head and neck tumors are particularly difficult to treat. In a study in Vancouver, Canada 60 mg/week (nearly 200,000 IU) for 6 months led to complete remission in oral precancerous lesions in 57% of the cases. From a survey of the literature Goodman concluded, “that vitamin A and carotenoids are of considerable importance to the prevention and treatment of many diverse cancers. In addition they are potentially valuable in potentiating and mitigating against many of the toxic effects of radiotherapy and chemotherapy”. Furthermore the Lancet review found that beta carotene in combination with other nutrient did not increase over all mortality. The title of their paper should have been “The antioxidant supplement beta carotene may increase morbidity but the other nutrient anti oxidants do not”. Ascorbic acid 120 to 2000 milligrams was the dose range used. For ascorbic acid the usual dose range for treating cancer is 10 grams and more orally daily and up to 125 grams intravenously over a five to six hour period two or three times each week. They reported that vitamin C did not increase overall mortality. I will now add this Lancet report to my list of references which show that vitamin C is not harmful to cancer patients. Vitamin E 30 to 600 milligrams. The more common doses of the water soluble form of vitamin E succinate 800 IU daily and with selenium from 400 mcg to 600 mcg and in a few studies even more. The Lancet report does not tell us which vitamin E was used. It has been known for some time that the fat soluble form does not have any anti cancer properties. These studies are typical of the many older studies where investigators wedded to the old paradigm used very small doses of these anti oxidants. They did find a little evidence that selenium, also an anti oxidant, might have had some protective effect. So how could the authors conclude that “they found little evidence that the anti oxidants prevented cancer. They should have written that they found little evidence that the anti oxidants they tested and listing each one by name has little effect and that the anti oxidant selenium did shows some effect. Thus in one trial selenium decreased the incidence of hepatocellular cancer in high risk subjects as in at risk families or in patients with hepatitis B surface antigen. Selenium dose range 50 to 228 mcg. In this report selenium comes off nearly as OK and perhaps having some preventive properties. Of course they do not review the large number of selenium studies which do show it has major anti cancer effects. There is also a problem in downgrade smaller studies as compared to the large ones. They assume that the larger the study the more accurate are the observations. With this I totally disagree. The smaller studies that they downgraded and paid less attention to were probably done by researchers who did not have the clout of money to conduct large scale studies and they were probably more motivated to really examine these substance seriously. They would certainly have used quantities that were within the higher dose range. But the authors do not supply this data. And there is another problem with their data. Were they really testing the protective properties of these substances. 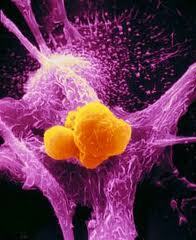 Even if none of the subjects had diagnosed cancers, how many were in the nascent phase of cancer. Cancer does not suddenly spring forward from nothing. It take many years to become obvious and it is certain that many of their subjects were already suffering from undiagnosed cancers. To really test prevention they should start with completely healthy people. Or they might define prevention more carefully by calling it inhibition or a slowing down not prevention. And with the design they used there can be no answer. It still remains open. The doses they used were not within the recognized therapeutic dose range as reported by studies that claimed some effectiveness. This is best known for vitamin C were 2000 milligram daily is totally inadequate. I find even more troublesome the fact that the authors do not understand vitamins. They lump them all as anti oxidants which they are but that does not make them identical in every way. Elephants and mice are mammals but they do have certain clear cut differences. If the term anti oxidant had not been invented this report could not have appeared. It became a substitute for vitamins. For many years vitamins were so stigmatized that physicians were fearful of using them, as many still are. But they were less fearful of using the same vitamins if they were called anti oxidants. Too many are not aware that even though they have anti oxidant properties they also have many other properties which make them unique. Thus vitamin C and Vitamin E are anti oxidants. But only vitamin C will prevent and cure scurvy. Each one has its own unique properties. Biochemical specificity is very precise This must not be ignored. Vitamin B-3 is used to maintain the pyridine nucleotide cycle and is the pellagra preventive and treatment substance. It has remarkable oxidant and anti oxidant properties. It will not cure scurvy nor will ascorbic acid cure pellagra. To lump all these vitamins together Becuae they are anti oxidants makes as much sense as lumping all mammals together with resect with their ability to play basketball, or chase deer or eat rabbits. It is like expecting a small overgrown country trail being as easy to drive on at high speed as a super highway. The are both roads and one drives on them. One has to be vry careful of these ways of classifying things or events. One characteristic does not make them all alike. The term anti oxidant should never have been used and each nutrient should have been examine in its own right. The authors review found that the three anti oxidants beta carotene, vitamin E, vitamin C did not protect against cancer. But 95% of the studies used single substances. Only 5% used any combination and there is no evidence how many used all three. In cell studies any one of the tree used alone might inhibit cell growth, have no effect of increase it but when all three were used in combination there was always a decrease in cell growth of cancer cells. In my series of over 1300 cases I never used any of the oxidants alone. I used vitamin C, vitamin E and selenium. But even these authors conclusions are correct their descript is incorrect because they lump them all together and excluded selenium which is also an anti oxidant. They reported that only patients given vitamin A and its recourse beta carotene .They reported that vitamin C separately or in combination even with Beta carotene showed no significant effect on overall mortality , nor did /Vitamin E.
And finally having concluded that beta carotene is the only one which may be toxic, having found that vitamin C, vitamin E and selenium are not toxic, they concluded that all anti oxidants are toxic and using some very elaborate fancy mathematical foot work they show that out of every million people on anti oxidants 9000 premature deaths will occur. They claim that if every United States citizen (300 million) were taking these supplements there would be nearly 3 million premature deaths???? They imply that anti oxidants are more dangerous than Viox. And they imply vitamin E, and Vitamin C are toxic factors even though they state in the report with no reservation that they are safe. Antioxidant supplements for preventing gastrointestinal cancers. Bjelakovic G, Nikolova D, Simonetti R, Gluud C.
The Cochrane Hepato-Biliary Group, Copenhagen Trial Unit, Centre for Clinical Intervention Research,, Dept. 7102, H:S Rigshospitalet, Copenhagen University Hospital,, Blegdamsvej 9,, DK 2100 Copenhagen, DENMARK. BACKGROUND: Oxidative stress may cause gastrointestinal cancers. The evidence on whether antioxidant supplements are effective in preventing gastrointestinal cancers is contradictory. OBJECTIVES: To assess the beneficial and harmful effects of antioxidant supplements in preventing gastrointestinal cancers. SEARCH STRATEGY: We identified trials through the trials registers of the four Cochrane Review Groups on gastrointestinal diseases, The Cochrane Central Register of Controlled Trials on The Cochrane Library (Issue 1, 2003), MEDLINE, EMBASE, LILACS, and SCI-EXPANDED from inception to February 2003, and The Chinese Biomedical Database (March 2003). We scanned reference lists and contacted pharmaceutical companies. SELECTION CRITERIA: Randomised trials comparing antioxidant supplements to placebo/no intervention examining the incidence of gastrointestinal cancers. DATA COLLECTION AND ANALYSIS: Two reviewers independently selected trials for inclusion and extracted data. The outcome measures were incidence of gastrointestinal cancers, overall mortality, and adverse events. Outcomes were reported as relative risks (RR) with 95% confidence interval (CI) based on fixed and random effects meta-analyses. MAIN RESULTS: We identified 14 randomized trials (170,525 participants), assessing beta-carotene (9 trials), vitamin A (4 trials), vitamin C (4 trials), vitamin E (5 trials), and selenium (6 trials). Trial quality was generally high. Heterogeneity was low to moderate. Neither the fixed effect (RR 0.96, 95% CI 0.88 to 1.04) nor random effects meta-analyses (RR 0.90, 95% CI 0.77 to 1.05) showed significant effects of supplementation with antioxidants on the incidences of gastrointestinal cancers. Among the seven high-quality trials reporting on mortality (131,727 participants), the fixed effect (RR 1.06, 95% CI 1.02 to 1.10) unlike the random effects meta-analysis (RR 1.06, 95% CI 0.98 to 1.15) showed that antioxidant supplements significantly increased mortality. Two low-quality trials (32,302 participants) found no significant effect of antioxidant supplementation on mortality. The difference between the mortality estimates in high- and low-quality trials was significant by test of interaction (z = 2.10, P = 0.04). Beta-carotene and vitamin A (RR 1.29, 95% CI 1.14 to 1.45) and beta-carotene and vitamin E (RR 1.10, 95% CI 1.01 to 1.20) significantly increased mortality, while beta-carotene alone only tended to do so (RR 1.05, 95% CI 0.99 to 1.11). Increased yellowing of the skin and belching were non-serious adverse effects of beta-carotene. In four trials (three with unclear/inadequate methodology), selenium showed significant beneficial effect on gastrointestinal cancer incidences. REVIEWERS’ CONCLUSIONS: We could not find evidence that antioxidant supplements prevent gastrointestinal cancers. On the contrary, they seem to increase overall mortality. The potential cancer preventive effect of selenium should be studied in adequately conducted randomised trials. LDN – did you know? If you have cancer, cut the sugar out of diet. When in doubt, use your OWN immune system! Did you know that you are practicing medicine illegally? Who is protecting the public?